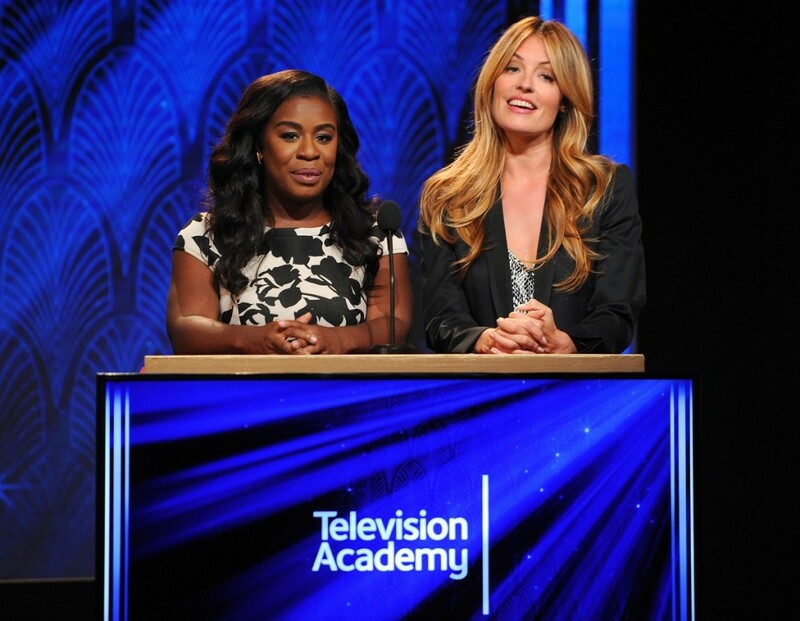 Uzo Aduba (left) and Cat Deeley (right) announce the 67th Primetime Emmy Awards nominees at the Pacific Design Center on Thursday, July 16, 2015, in West Hollywood, Calif. Photo Credit: Vince Bucci/Invision for the Television Academy/AP Images. Yesterday morning at the Pacific Design Center in West Hollywood, California, the 67th Primetime Emmy Awards nominees were announced by Orange Is the New Black’s Uzo Aduba and Dancing with the Stars’ Cat Deeley, who each earned an Emmy nod for their respective roles. Not surprisingly, HBO’s Game of Thrones once again snatched up the most nominations, amounting to a total figure of 24. But it wasn’t the only drama series that came out on top. Limited series American Horror Story: Freak Show with its 19 nominations and Olive Kitteridge with a respectable 13 showed that they, too, are worthy contenders this year. And while there were some snubs that left fans in utter disbelief, including FOX’s Empire and the CW’s Golden Globe winner Jane the Virgin, many individuals and shows came out as “winners,” counting a few surprises like Lisa Kudrow (The Comeback) and Amy Schumer (Inside Amy Schumer) — at least till September 20th when only a lucky few will walk away with the gold. Take a look below at our partial list of the nominees and let us know your picks and who should (or shouldn’t) have made the cut. Henry Strozier for Animal Planet’s Too Cute! For the full list of nominees, visit Emmys.com. The 67th Primetime Emmy Awards will be hosted by “Brooklyn Nine-Nine’s Andy Samberg. Be sure to tune in on September 20th at 8ET/5PT to FOX to find out who will win.